Cheryl is a NAPFA-Registered Financial Advisor, a CERTIFIED FINANCIAL PLANNER™ professional, and a minority owner of Clearview Wealth Management. She serves as a Senior Financial Advisor and the Director of Planning. She focuses much of her time assisting with later life issues for aging clients, complex estate and gifting situations and trust management. She has become a vital resource to advisors across the United States, presenting at national conferences on issues for aging clients and clients who fall into the “Sandwich Generation.” She has also been quoted in numerous national publications, including the Wall Street Journal and AARP and speaks in the community on aging topics. Prior to joining Clearview Wealth Management, Cheryl spent ten years as the Director of Financial Planning and a Senior Financial Advisor with another wealth management firm in Charlotte. Prior to 2003, she worked with a tax and consulting firm in Charlotte where she specialized in Gift and Estate taxation and provided support to the Wealth Management group in the area of financial planning. Cheryl is an active member of the Financial Planning Association (FPA) and the National Association of Personal Financial Advisors (NAPFA). 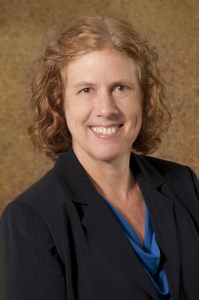 She has served on board positions for both NAPFA and the Journal of Financial Planning. Cheryl is also a member of the American Society on Aging (ASA). Cheryl is a graduate of the Kinder Institute’s “Seven Stages to Money Maturity” workshop and is trained as a Stephen’s Minister, coming alongside those in crisis situations. Cheryl is currently pursuing a Masters of Art in Gerontology to better assist her aging clients. She is an active member of the Charlotte-Mecklenburg Aging Coalition and a longtime volunteer at the Charlotte Urban Ministry’s “Room in the Inn” homeless ministry. Learn more about the people I work with.